Truxedo TruxSeal has 8.5 feet of seal to fit around the entire tailgate of the largest trucks preventing water and dirt from getting in your bed. Mounting is simple and easy with the included 3M adhesive tape and cleaning pads. Weather Barrier The TruXedo TruXseal tailgate seal acts as a barrier keeping dirt, dust and water out of your truck bed. Easy Install The TruXedo TruXseal tailgate seal is simple and easy to mount with the included 3M adhesive tape and cleaning pads. 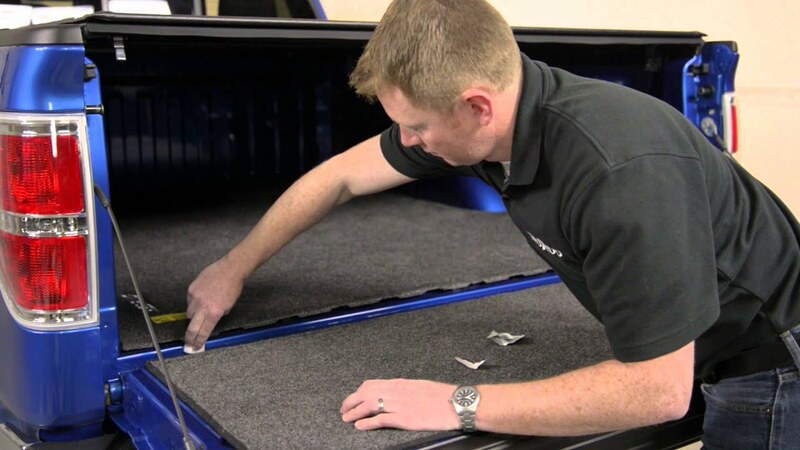 Every tonneau cover creates a vacuum effect sucking up dirt, dust and water into your truck bed. The solution is to add a TruxSeal tailgate seal from the fine folks at TruXedo. With 8.5 feet of seal there is plenty to fit around the entire tailgate of the largest trucks preventing water and dirt from getting in your bed. Mounting is simple and easy with the included 3M adhesive tape and cleaning pads. Help keep the elements out of your bed by adding a TruxSeal tailgate seal! The TruxSeal Tailgate Seal can be installed easily. Each product comes with easy to understand vehicle specific installation instructions.